While many developments created in the last 10 years have nice man-made amenities, most feature small lots and cookie-cutter homes. The premise behind Carolina Colours is that while smaller home sites with smaller homes have an important role in a community, the desire of many for the traditional, near half acre or larger home site is still strong, even though largely ignored by planners. Carolina Colours is situated on about 1,200 acres of property, with Brices Creek meandering through the acreage. This creek and various wetland preserved open spaces, combined with the natural topography of the land and the layout of the golf course, create excellent land masses that easily translate into neighborhoods. This allows for a number of smaller, named communities within the greater whole of Carolina Colours. Where the land has rolling topography and abundant tree growth, home sites of half an acre and larger work best, so features of the natural landscape can be retained. These lots form the central core of the development. Other areas, flatter and with less vegetation, lend themselves to smaller, more open lots, at lower price points. 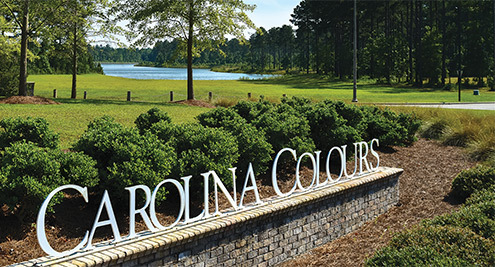 Our goal in developing Carolina Colours has always been to preserve the natural to the extent economically feasible, while providing a mix of living environments, including those with views of golf course, lakes and ponds, creeks and wetlands, forests and open spaces. This also allows homes and home sites that fit many budgets, with home sites ranging from around $50,000 to over $100,000 and homes (including land) ranging from the mid $200’s to around $800. Neighborhoods have differing minimum sized homes and, in some instances differing architectural guidelines. 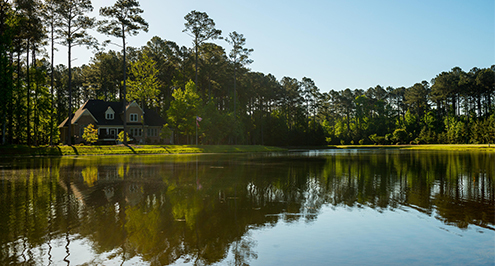 Situated on Carolina Lake and near the recreational center of Carolina Colours can be found the neighborhood of Carolina Commons. 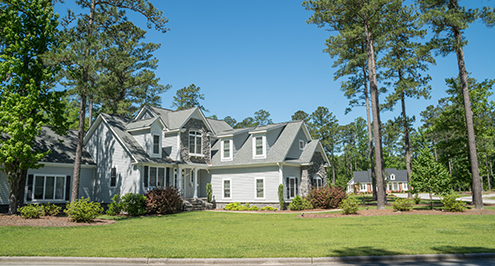 This TND (traditional neighborhood development) is inspired by the historic homes of downtown New Bern, and features single family, townhome and condominium homes, many either adjoining Carolina Lake, or with a view thereof. 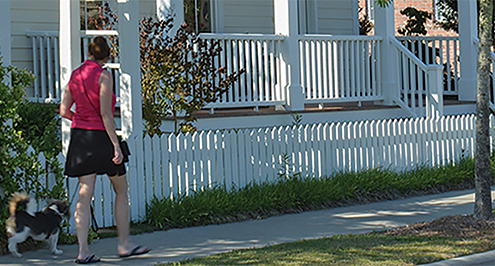 Social living at its best, TND design features spacious front porches near pedestrian walks and streets, with parking generally to the rear of the homes, often accessed from small rear alleys. Featuring livable floor plans and open spaces for all, including a lake front park, the old concept of enjoying a tea or bourbon while rocking on the porch and talking with neighbors becomes as enticing as it was 100 years ago. 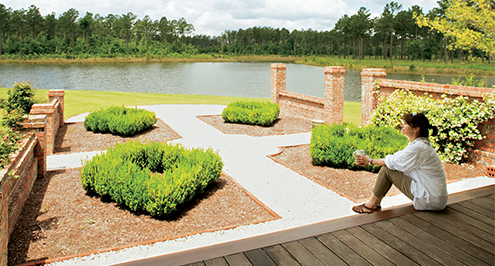 Bayberry Park is the best New Bern and Carolina Colours has to offer in fulfilling the growing demand for great value homes, on smaller, easy to maintain sites, with the availability of all the community amenities that are usually not available to home buyers in this very affordable price range. Attractive to the young, employed family, retirees and the military officer (12 minutes from the Cherry Point base), these homes, all priced in the 200’s, are not the cookie cutter standard often found in great value homes. Cobblestone was created specifically for the baby boomer wanting high quality, single floor living with no yard work to worry with. A great alternative to custom building, Cobblestone affords luxury living while by-passing the time and effort required to design such a home. Seemingly small when viewed from Cobblestone Alley, upon entering, as if by magic, the home expands with 10-foot ceilings, floor to near ceiling sliders, and creative architectural features. With both 2 and 3-bedroom models ranging from over 1900 to 2,300 heated square feet, and with optional upstairs bonus room and bath to add about 375 additional square feet, these open floor plan homes are state of the art. Plus, there is an immense amount of attic storage rarely found in carriage or patio home construction, to accommodate all those Christmas decorations and paraphernalia brought from your working life home. 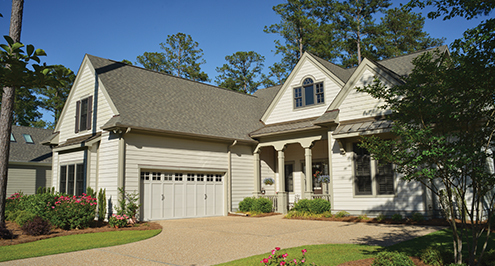 Built by Artisan East, a company with great experience and a comfort level with high quality, custom construction, and with Hardie Plank siding to insure low maintenance exteriors and a sub-association to maintain the lawn, those weeks traveling to see the world or the grandkids are worry free. Only four left! This community of attractive, full sized home sites features several large properties that back up to a tributary of Brice Creek. Only 6 left! 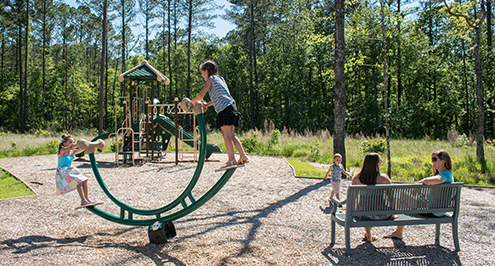 Under construction, this neighborhood of 18 sites features several pre-designed homes, many of which adjoin Carolina Lake. 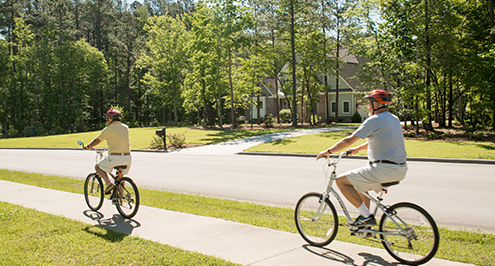 Like Cobblestone, but with more traditional homes, Watercrest is designed for those who prefer low maintenance living. Homes range from about 1900 to about 2400 square feet in size. The small neighborhood features a core park area for its residents. Another new community expected to be ready for sale by summer 2018, Verdant includes 44 homesites with differing characteristics. Featuring several short cul- de- sac fronting large home sites that back up to Brice Creek, as well as smaller, outstanding value properties, a waiting list is already growing for those that see the great opportunity at pre-release prices available in Verdant.